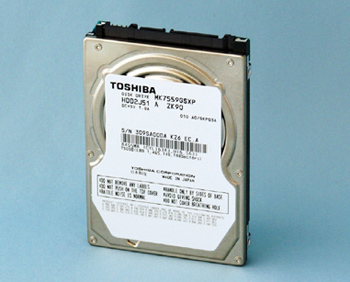 Toshiba Corporation, the pioneer in small form factor hard disk drives (HDDs), today announced two additions to its 5,400 RPM line of 2.5-inch HDDs featuring industry-leading storage capacities. In the standard 9.5 millimeter-high, two-platter design, the MK7559GSXP HDD incorporates both the industry’s highest areal density and capacity at 750GB. Sample shipments will start from April, 2010. The MK7559GSXP HDD features an areal density of 839.1M bit/mm2, making it ideal for mobile applications in which capacity is key, including notebook computers and external HDDs. This HDD is well-suited for devices that value high capacity in a smaller footprint with improved acoustic performance and lower power operation compared to larger form factor HDDs. 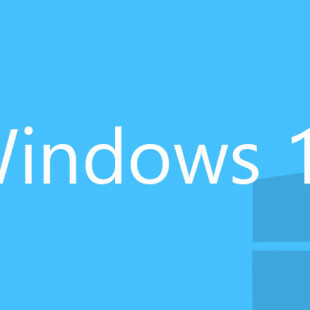 Those applications include all-in-one desktops, televisions and set top boxes. Toshiba also introduced a new three-platter 12.5-millimeter-high platform with the MK1059GSM with 1TB of storage. This capacity point was predominantly supported by larger form factor 3.5-inch HDDs until the introduction of high-end 2.5-inch solutions, providing low-power, space-saving opportunities to system manufacturers looking to differentiate or update their products. The MK7559GSXP energy consumption efficiency is about 14% less than the previous generation (MK6465GSX, 640GB). These products also adhere to Toshiba’s environmental initiatives in their use of power efficiency techniques and components that reduce reliance on harmful chemicals, materials and compounds. The new products offerings expand Toshiba’s mobile HDD product line into the highest-capacity segment of the 2.5-inch HDD market and represent the company’s first mobile HDD platforms developed with the combined engineering resources from the integration of Fujitsu’s HDD business, which Toshiba acquired last fall.